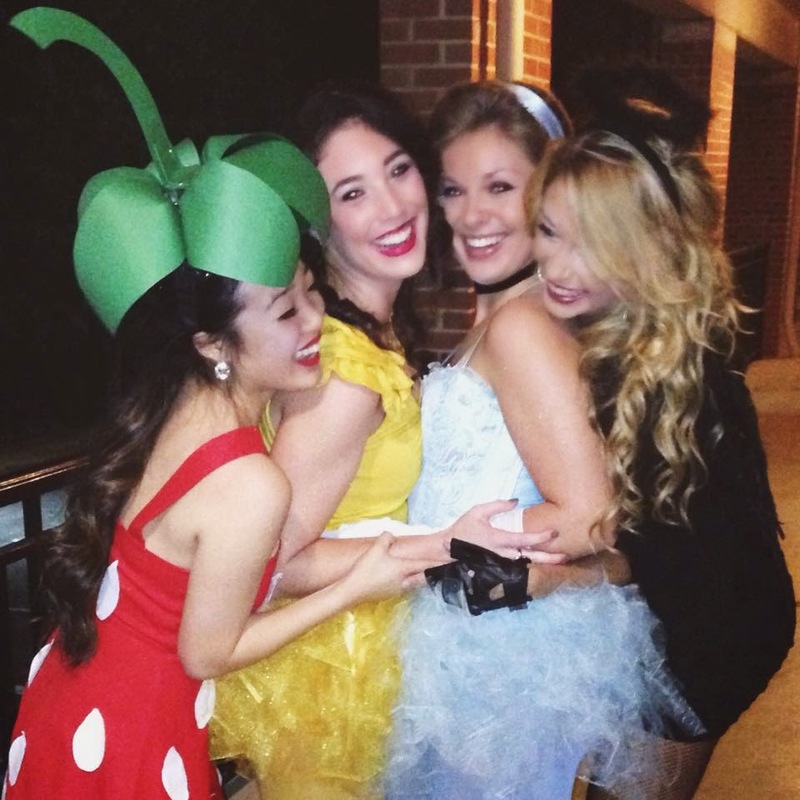 If you're following along on Instagram, you've probably seen this picture of me and my girlfrands getting prepped for Halloween here in Chapel Hill last Friday. ^ I wasn't lying. Proof that once I say something, I always stick with it. So today, I present to you... my first YouTube video. It's a behind-the-scenes (BTS) video of me and my closest gal pals getting ready for Halloween on Franklin Street last Friday. We had too much fun so much fun prepping for this night. My best friend and roomie Casey made us apple pie sangria, which I will be posting the recipe on my blog next week, and we may have jammed out and laughed a little too much in the vid! Haha! But all in all, I hope you enjoy this video as much as I enjoyed putting it together! And a special thanks to my girls for supporting me as I take my next step as a YouTuber. P.S. please let me know what kind of videos you would like to see me do! I'd love some feedback! Aww thank you Johanna!! It was so much fun shooting it! I'll definitely try to shoot more ;) I'd love to see your vids as well!